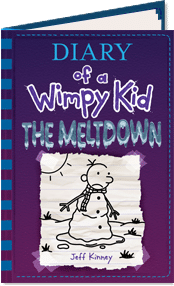 The pressure’s really piling up on Greg Heffley. The only thing he’s good at is playing video games, but his parents want him to something new! When Greg finds an old video camera in his basement, he thinks he may have discovered just the thing to prove he’s got big-time talent. 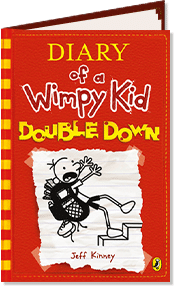 With the help of his best friend, Rowley, Greg hatches a plan to make a scary movie … and to become rich and famous in the process. 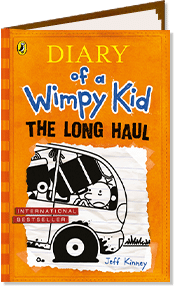 But is movie-making with Rowley a smart plan? Or is it just a recipe for doubling Greg’s troubles? Out now as a paperback, hardback and ebook!